The Apollo missions, in our opinion, were the most ambitious space projects man has undertaken. It was nothing short of a miracle on how they pulled of bringing actual men to the Moon especially knowing how the technology was back then. Who ever knew that there were actual Apollo missions that were cancelled. The film "Apollo 18" tries to bring mystery into the reason why Apollo 18 was a kept secret project. The film is trying to bank into the "found footage" trend started by "The Blair Witch Project" and more recently popularized by films like "Paranormal Activity" and "Cloverfield". Honestly, it has a pretty nifty premise and it could be a hit but what scares us is the limited space we are given with. A small spacecraft and the Moon combo might be its biggest nemesis. You can catch the trailer of "Apollo 18" after the jump. 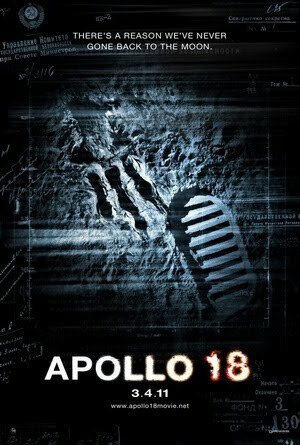 "Apollo 18" is slated to for release starting April 22, 2011.